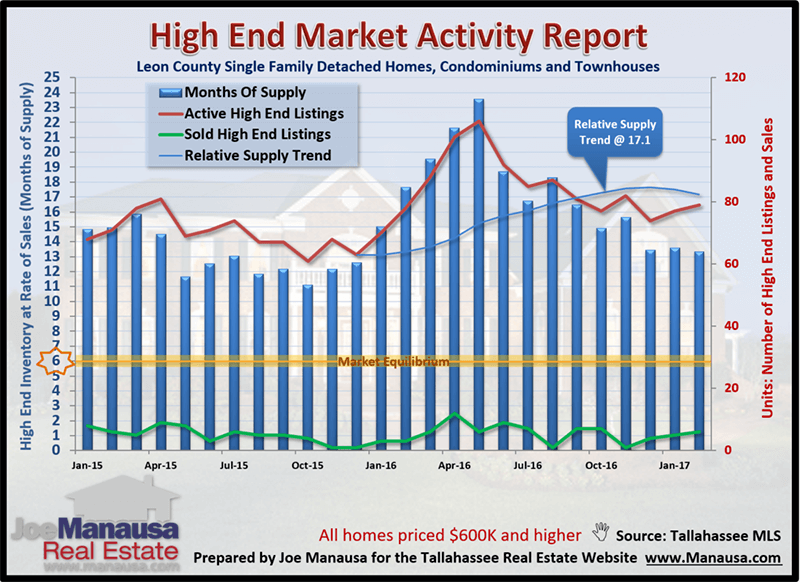 If you saw the article in today's paper about the declining inventory of homes for sale, you might be surprised to find that Tallahassee's high end homes are in a market of their own. Sure, overall market conditions reveal a lack of adequate supply of home listings, but check out how different it is for the owners of luxury homes for sale priced above $600,000. I'm always amazed when I talk to owners of luxury homes for sale who have tried (and failed) to sell their home. They tell me they "know" the market is bad and that it might take years to find a buyer for their home. Fortunately for the homeowners, these thoughts are both incorrect. The luxury homes for sale today are seeing as much activity as ever, and you can sell an expensive home any time you would like. You just have to market it correctly. Heck, we sold the most expensive home sold in Tallahassee this decade a few years ago, and many of its competitors are STILL on the market today. If you own a home worth more than $600K, you should know that it does not take "years" to get it sold. The following luxury homes graph shows the real problem with the high end market. The graph has some key measurements, but for the purpose of this report, let's focus on two things. 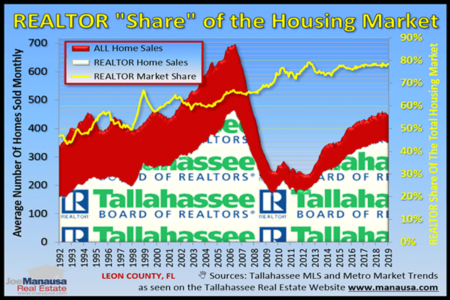 First, the thin blue line shows that the relative supply of homes is nearly 3 times "normal," meaning their are far more sellers than buyers in the high end homes market (and it is rising!). Second, note that the green line (the number of homes sold over $600,000). The level of activity continues to be as strong as we've seen it (2016 was one of the top years ever for homes sold above $600K). So the glut of supply continues to grow even as we see solid sales results. New homes are selling and many luxury home buyers want to be the first to live in the home. This means that even though there is a steady activity of buyers, they are choosing new homes often enough that we are not chipping away at the supply. If you own a high end home and have no plans to move, than you really don't have a problem. If you owe money on your home, speak with a mortgage lender and perform a cost-benefit analysis for a refinance. Interest rates are still crazy low, and if you have a higher rate, you'll likely be wise to restructure your debt at a lower rate. 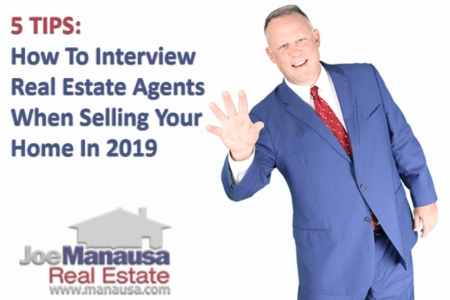 If you think you might want to move in the coming years, you should speak with our home selling specialist who will give you guidance on what you'll need to do to get your home sold (without it being listed for years like we are seeing with many of your competition). Our guidance comes with no-strings-attached, and you can never prepare to early before hitting the market. If you would like to know what your home is worth and what it will take to get it sold, simply drop me a note and we'll be in touch right away.